When Should You Use “Special Help”? What are the Standard Fares? Transportify charges a base price and then a fee per km thereafter. These prices vary by vehicle. What should you expect from your driver when paying Standard Fares? Loading at pick-up within 5 meters from vehicle. Unloading at each destination within 5 meters from vehicle. Use of stairs are acceptable but kindly allow use of your elevator whenever possible. When should you use Special Help? 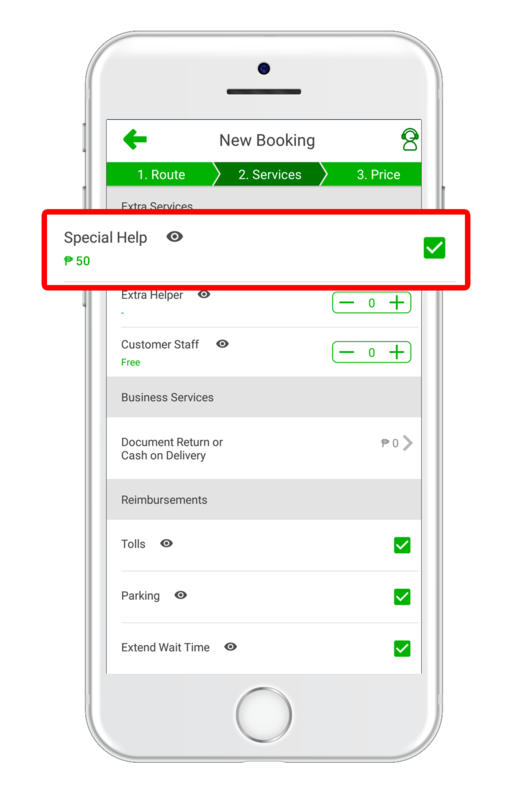 If your booking has extended loading or unloaded distances or special tasks, select Special Help on step 2 in our app. Where can I select Special Help? How much does Special Help cost?